This match won’t come again…nor will the excitement & the mind-blowing offers. 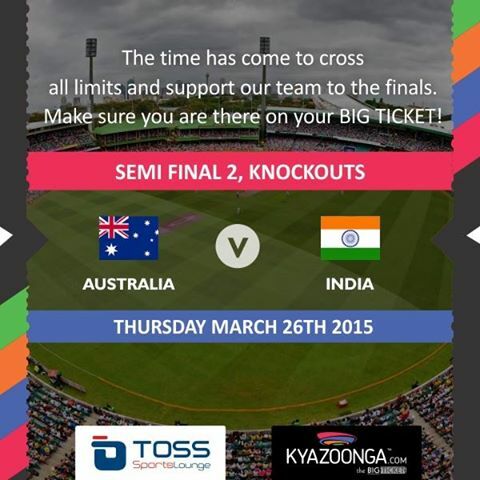 Watch India vs Australia World Cup Live Screening at TOSS Sports Lounge, Lullanagar & TOSS Sports Lounge, Mundhwa, Pune and enjoy super cool offers on your F&B. Previous Post 5 Reasons why you should visit Jodhpur’s Flamenco & Gypsy Festival!